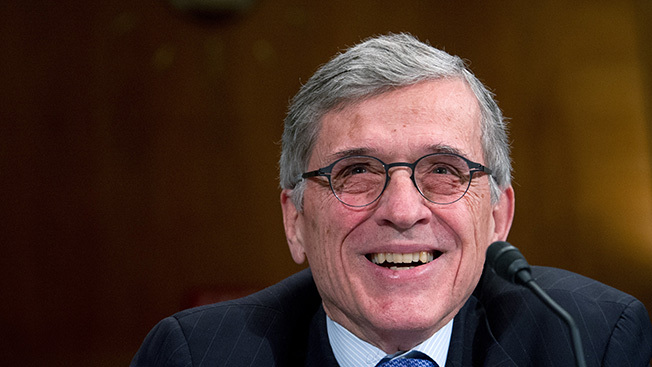 What started out as a rocky hearing for Federal Communications Commission chairman Tom Wheeler turned into an opportunity for him to explain at length to lawmakers about the agency’s new rulemaking on net neutrality, opened less than a week ago. It was widely expected that the hearing before the House subcommittee on communications and technology where Wheeler was the sole witness would turn into a grilling of sorts. The chairman has stirred up a hornet’s nest of controversy over what approach the FCC might take to ensure an open Internet. And he has run afoul of House GOP leaders on some of the rules he’s proposed impacting TV ownership and the spectrum auction. But the net neutrality debate has been so rancorous that it has overshadowed other proceedings at the FCC, such as the upcoming auction of wireless spectrum to feed the growing demand for mobile broadband. From a policy perspective, just about everything is now being looked at through the net neutrality lens—and Tuesday’s hearing was no exception. Two subcommittee Democrats, ranking member Anna Eshoo (D-Calif.) and Doris Matsui (D-Calif.) called for the subcommittee to hold a hearing about the impact on the Internet of the Comcast-Time Warner Cable deal and the just-announced AT&T-DirecTV deal. But before Wheeler could explain his approach to the agency’s net neutrality rule making, he had to sit through some scolding from the GOP leadership on the subcommittee who oppose any suggestion that the Internet should be classified like a communications utility. Walden also blasted Wheeler for failing to complete the agency’s required 2010 review of media ownership rules, rolling them up in the 2014 review, yet making changes to the TV ownership attribution rules, and passing rules that might effectively discourage broadcasters from voluntarily relinquishing spectrum for the upcoming spectrum auction in 2015. Adding to his list of complaints, Walden and House commerce chairman Fred Upton (R-Mich.) accused Wheeler of playing partisan politics—citing reports that Wheeler sharing agenda items with Democratic commissioners a day before he shared them with the GOP commissioners. Democrats, concentrating on net neutrality, insisted that the FCC prohibit “paid prioritization,” though they stopped short of advocating that the FCC go down the path of classifying the Internet as a utility. “Now is not the time to unravel the values that have been the hallmark of the Internet. I don’t want fast lanes—some giant company blocking content. I want every day to be the Fourth of July for American invention,” said Eshoo. Rep. Henry Waxman (D-Calif.) advised Wheeler that he use reclassification as “a backstop authority. … You shouldn’t water down the open Internet rules to fit section 706. Instead, you should get the substance right and invoke Title II as an independent basis of authority,” Waxman said. Wheeler didn’t offer anything new to his position on net neutrality; he wouldn’t commit to whether he favored one legal approach over the other to govern net neutrality rules. Trying to reassure lawmakers, the FCC chairman relied on a familiar meme. "I've consistently said there is only one Internet," Wheeler said. "There is not a fast Internet or a slow Internet. This has become a debate about legal approaches. It's a healthy debate."